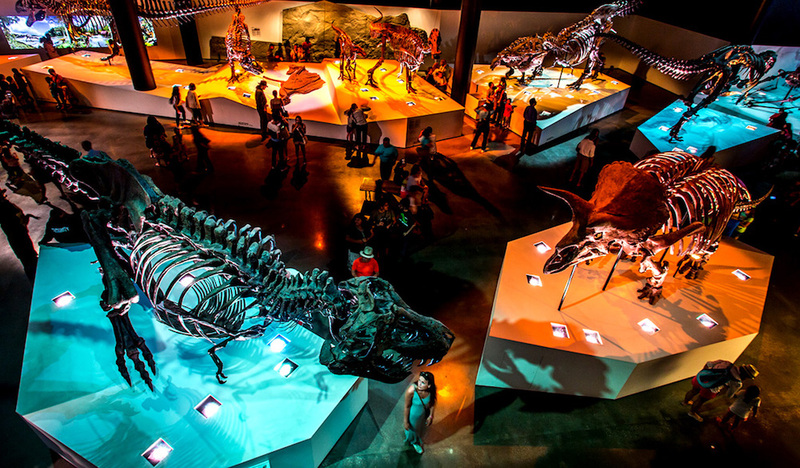 The Houston Museum of Natural Science is one of the most visited museums in the nation, with annual attendance reaching over 3.5 million. Through New Year’s Eve, Tuesday, December 31, 2019, you can buy a voucher good for a $25 adult general admission ticket for $11.10 plus ticketing fee. Click here to order vouchers or for more information. Mumerous permanent exhibits include the McGovern Hall of the Americas, Cullen Hall of Gems and Minerals, Wiess Energy Hall, popular Hall of Paleontology. Your self-guided tour of the HMNS Exhibit Halls can take as little as 30 minutes or be an all-day event. Tickets include same-day return visit privileges. Tickets are $25 for ages 12 and up; $16 for ages 3 to 11; $16 for ages $62 and up; discounted $11.10 tickets are available for most dates. General admission is always free on Thursdays.